Angel of the Winds – Budget Friendly Option in Skagit Valley! My husband had to work out of town for some time this year, and we were looking for a chance to getaway and reconnect now that he is back. With three kids still at home, we were looking for a local option that was not too far, and was affordable. So, when the opportunity presented itself to try out the new hotel at the Angel of the Winds Casino, we called in grandma to watch the kids and packed our bags. We had a wonderful time, and scoped out tons of money saving opportunities for you too! If you’re looking for a couples getaway where you can relax, reconnect, but still have some things to do, then this is a great option. The hotel has some great savings packages, and there are a number of great budget friendly food options. There also are quite a few free things to do throughout the area as well. A couple could do a great overnight getaway for under $200 including food, room and some entertainment. You could even do it for less if you really planned well! Angel of the Winds Casino opened up in 2004. There was no hotel at that time, and the casino space was much smaller than it is today, but they adopted the mantra “Worlds Friendliest Casino” and the casino grew mostly from Word of Mouth as they lived up to that friendly reputation. Fast forward to today, and the expansion includes a brand new hotel, along with new casino space, and continued plans for growth. Since the hotel is new, and they want more folks to become aware of it, it is a great time to get a good deal. The hotel itself just opened this past December, so its all new and very cozy. The hotel is on one side (no smoking at all in that area) and the casino on the other side, so it can be a good budget friendly option even if you don’t game at all. The Angel of the Winds Casino and Hotel is new (opened in December) and the rooms are very nice. They offer a number of savings packages, and we found some really great values for the quality of room and stay. We stayed in a Deluxe King Room (which is their entry level room, they do have suites available for a little more). The bed was amazing. As much as we were looking forward to getting home to our kids, it was hard to leave that bed behind. Best sleep we have had in awhile. 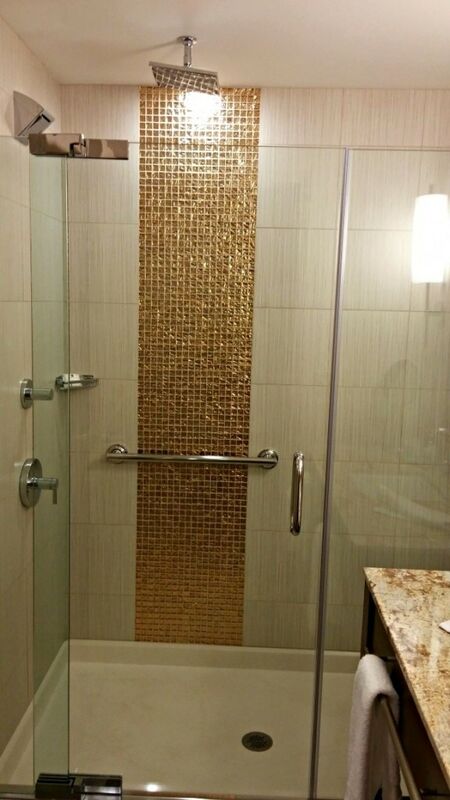 The spa shower, with dual shower heads, was a big hit with both my husband and I. The rooms do not have a bathtub (which I did miss), but the shower helped take that sting away. It has a shower head coming out of the wall, and a second one that will rain down from the ceiling. There is a control handle that allows you to turn either on or both. We loved the shower! 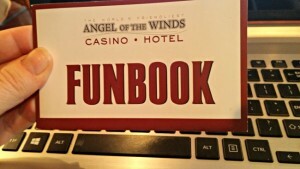 The Angel of the Winds Casinos offer reasonable rates to begin with. Right now you can get a Sun – Thurs. stay for as low as $79/nt. Plus, be sure to sign up for a Totem Club card and you will get an extra 10% off your stay (making it as low as $71.10 before taxes). Where the bigger savings comes in though, is when you buy one of their package deals.You can get great savings on weekends, but to maximize your savings you will want to book a Sun. – Thurs. stay if you can make that work with your schedule. This one is such a great deal, as you will get the room, a wonderful breakfast buffet (a $20 value) and your gas paid for. Plus, there is a great Happy Hour on weeknights, or there are great deals in Kathys Kitchen that you could use that coupon to really save with, and your Funbook includes free $5 dining credit at the Watershed restaurant. 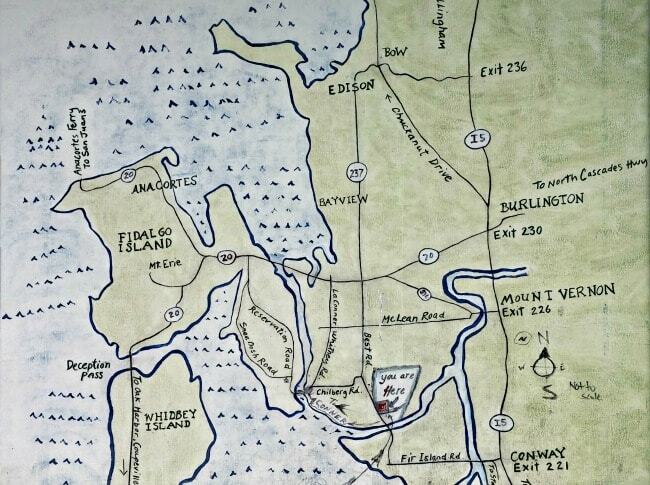 So you could get dinner in either of those areas for two for under $10 if you plan carefully. That means you could book get an entire overnight package that would cover room, food and gas for $120 +taxes, with this deal (and that would even include $15 in free play if you follow our tips below)! If you factor in the $60 in freebies included in the package, its like paying $50/nt for the room. 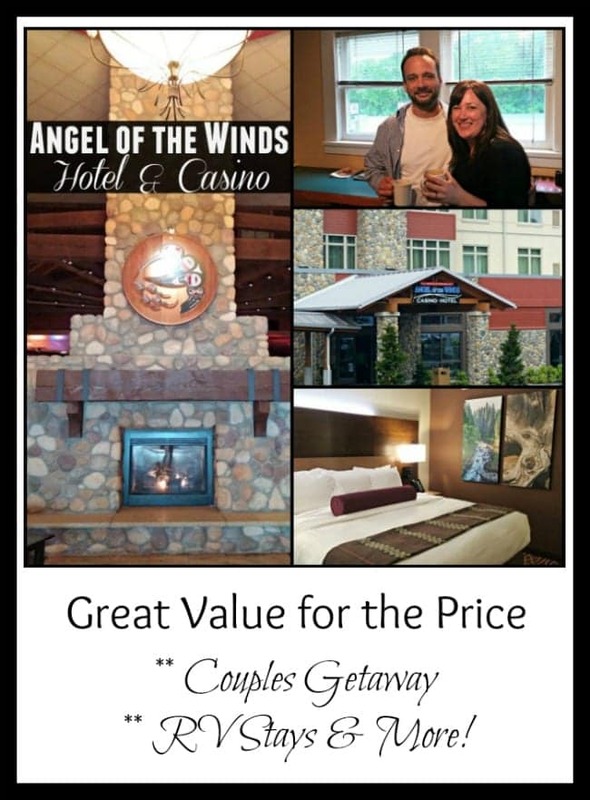 If you have an RV, the Angel of the Winds Casino has one of the best RV rates around! You can get an overnight stay with hookups for $15. Plus, you get a FREE $20 Casino Funbook when you check in, so you could easily make that money back on those savings. 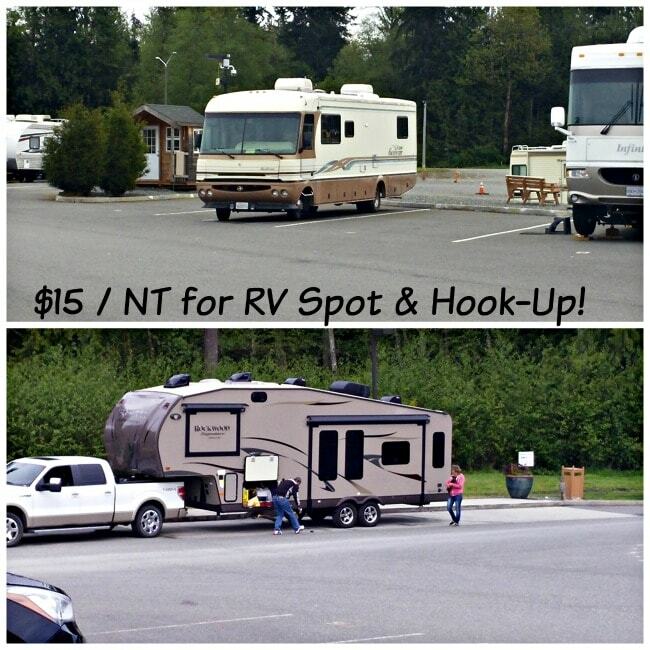 The RV spots are fairly basic, but its when of the best prices we have seen around, so its a great spot to consider if you are wanting to enjoy the Skagit county area. 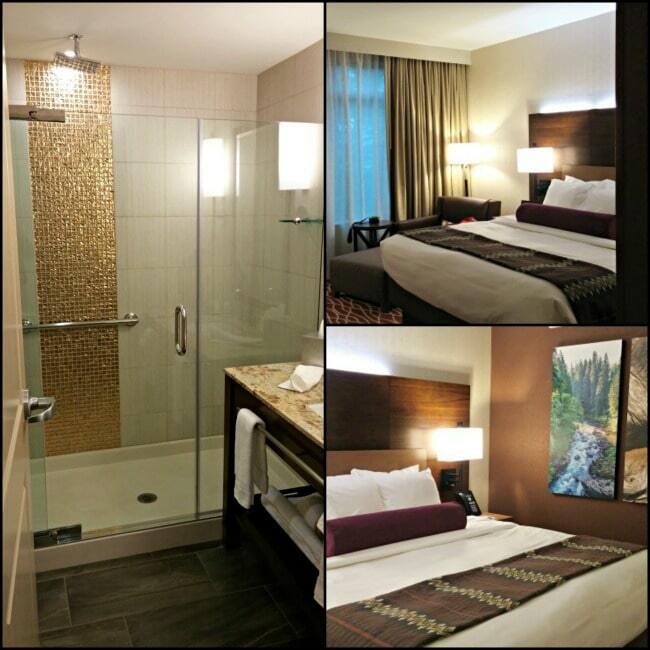 You have access to the great food deals, and amenities of the hotel too! 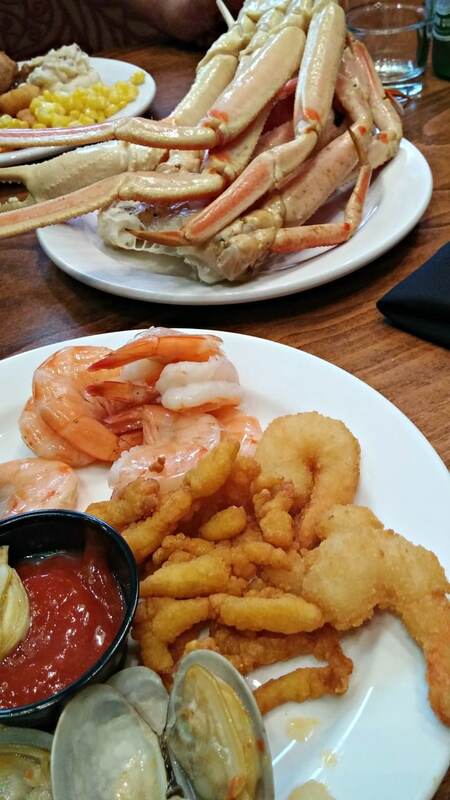 Dinner Buffet at Angel of the Winds is a Crab and Prime Rib meal & its DELICIOUS! There are a number of ways to get a really great deal on food at the Angel of the Winds Casino and Hotel (and we really enjoyed every meal)! One of the best ways is the package deals we mention above. If you can build the cost of the buffets into your room package, you will generally save more. 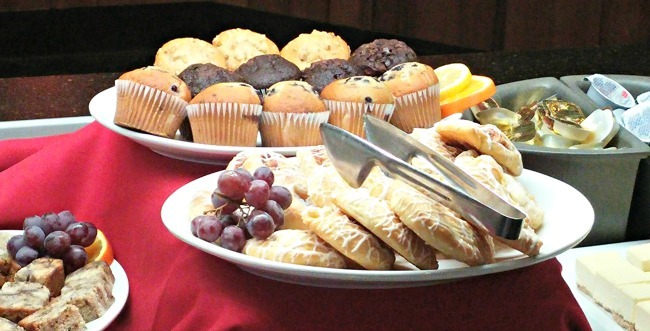 If you do not have a breakfast buffet with your package rate, then that is a great meal to use the $5 off coupon from the Casino Couponbook if you got your hands on one of those. The breakfast buffet is $9.95 per person and included omelets made to order, along with many other goodies (and coffee, tea and juice is included in the price). 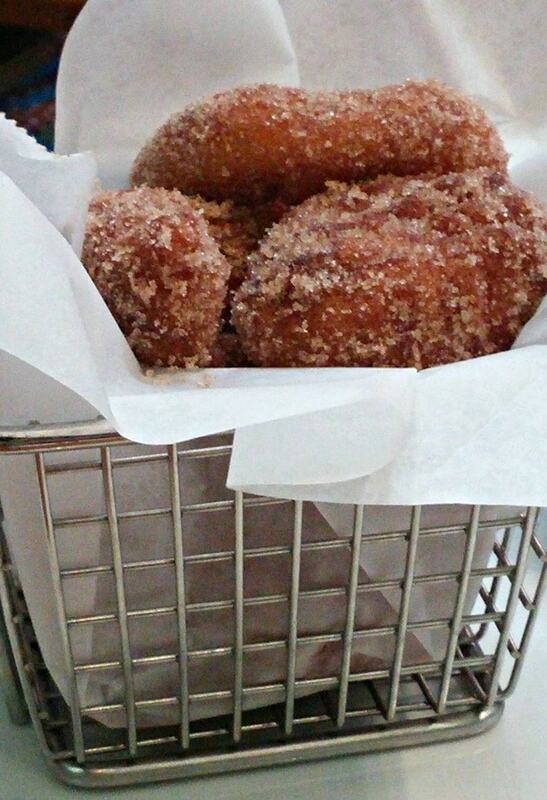 One of my favorite features of the breakfast buffet was the homemade cinnamon and sugar mini donuts they bring to your table with caramel dip. They were sooooo good (still warm when we got them)! 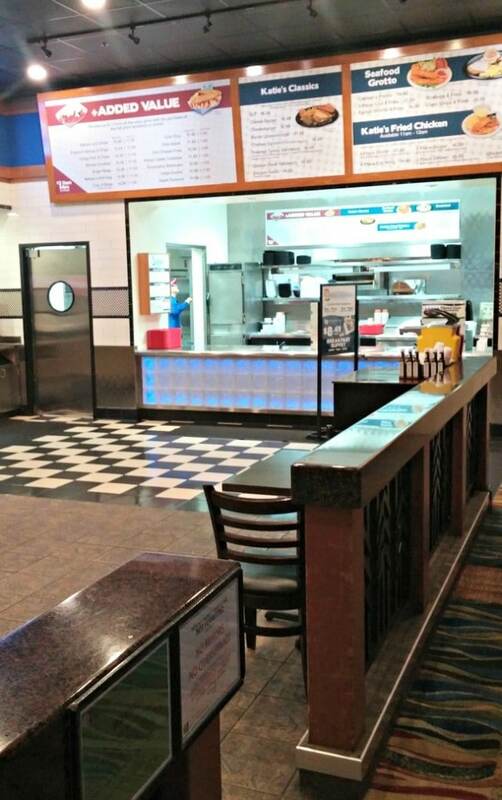 Kathys Kitchen is well known in the area for its great food deals. When they first opened you could get a number of $.99 specials. They became so popular that they had to change the special up a little. Now, when you buy 1 regular priced menu items you can choose to add two $.99/$1.49 items to your order. Its still a great way to get a meal at a bargain! If you don’t want that much food, you can still get some great prices. $3.49 for fish and chips for example. You can also get breakfast starting at just $3.99 if you want to forego the breakfast buffet in the Watershed Restaurant. Watershed Lounge in the morning. 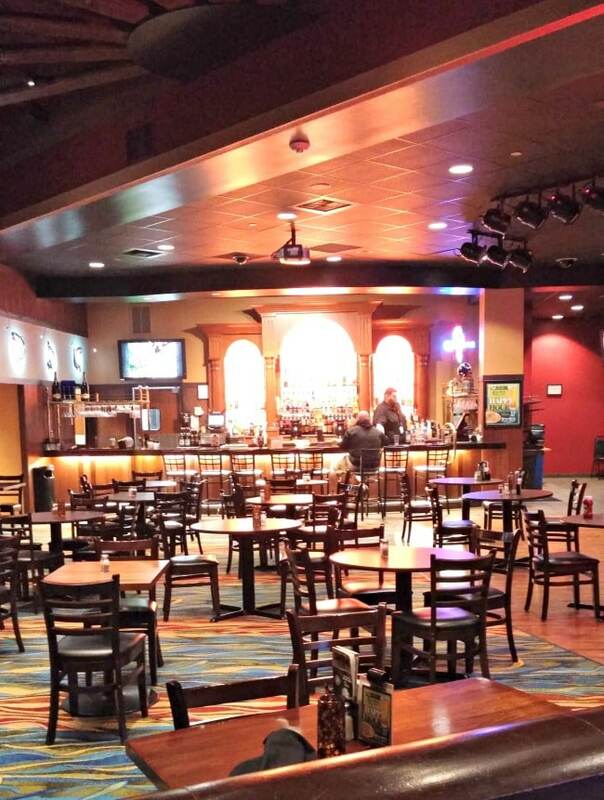 It will fill up in the evenings, and has a great Happy Hour & Free Live Entertainment! The lounge area was one spot that we really enjoyed hanging out in to relax if you’re on a couples getaway. 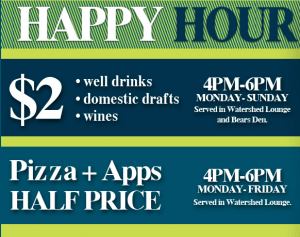 They have a happy hour all week long, but food is only available at the half price deals Mon – Fri. If you are checking in for a weekend stay on Friday though, its a great way to enjoy dinner at big savings. There is a fireplace in the lounge, and we loved getting their early to grab a table by the fire and enjoy some happy hour prices. The pizzas run about $10 regular price, so should be around $5 at Happy Hour. They are a generous personal size, so they can feed two with a light menu, or one really hungry person. If you like a glass of wine in the evening, we got the 14 hands cabernet for just $2 during happy hour. Best deal on a glass of wine I have seen in a long time! My husband fixing his mid day cup of coffee! 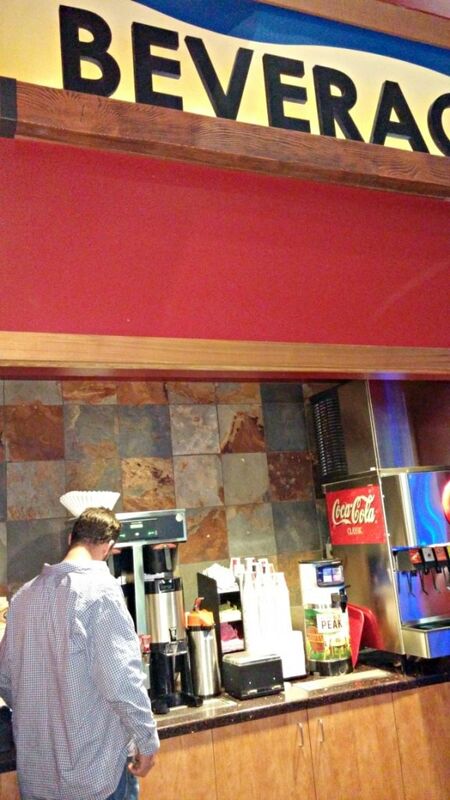 There are a couple of complimentary beverage bars in the casino as well. You can fix yourself a cup of coffee to go, or grab a soda or ice tea (multiple flavors) to keep you well hydrated on the house! We love our coffee throughout the day, so this was a perk we took full advantage of. Skagit Valley has lots to do. We really enjoyed spending our day driving around and visiting many of the nearby local towns. Check out our post on what to do while visiting this area here. You can check out the free entertainment options on the calendar here. If you like to game they do have a decent size Casino on the premises. Disclosure:: Angel of the Winds comped us our stay, so that we could check out the hotel to review for Thrifty NW Mom readers. All opinions are 100% my own.